Whether you weld as a profession or welding is just a hobby, welding helmets are the most important protective gear you'll need. Wearing the right helmet will not only protect you from metal particles, but it can prevent you from getting welder's eye. Plus having a comfortable helmet also means less neck strain when you have to wear the helmet for extended periods. 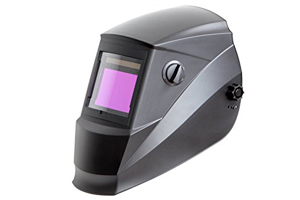 For anyone looking for a welding helmet that can achieve all those safety requirements while still staying under a budget will have a lot of trouble. 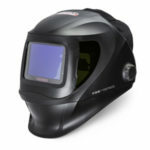 Thankfully the Antra AH6-660 is a cheap welding helmet that everyone seems to love (including myself). Coming with a larger viewing area, great UV protection, a lightweight design, 4 arc sensors, and various different designs to choose from, the Antra AH6-660 is one of the top helmets in its price range. Read More ReviewsCheck Amazon for Best Price! Besides safety, being able to see your entire project clearly is very important. The Antra AH6-660 accomplishes this by providing you with a viewing area of 3.78in x 2.5in. With a viewing area this big you'll easily be able to focus on what you're working on. 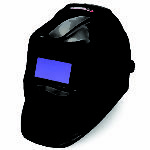 In order to protect your eyes from any serious damage, arc sensors are an important part to a welding helmet. With the AH6-660 you actually get a total of 4, unlike most other helmets of the same price. Which typically only have two. Having the extra protection is a nice bonus, giving you one less thing to worry about. What makes the Antra AH6-660 even better is its pretty impressive auto-darkening shade range. 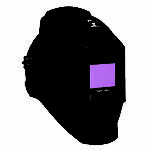 For being a cheaper welding helmet you get a light shade 4 up to a dark shade 13 , something you don't see much of in similar priced helmets, making it great for most applications. With a weight of just 435 grams, welding for long hours is something you won't have to worry about. All too often you end up with neck pain after wearing some heavier helmets on long jobs, but with this helmet's design neck pain is something that won't bother you. The helmet is even designed with a sweatband making it even better to wear. Although this isn't something that should affect your choice of which helmet you choose, you'll be happy to know that you can choose up to 6 different designs. 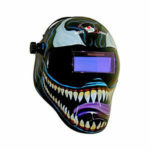 From a laughing skull to flames, you can set yourself apart and get a helmet that fits your style. Viewing Area: 98 x 62mm / 3.86" x2.50"
I only had two issues with this helmet. The first being that the darkness knob is on the outside, so it can be bumped on occasion causing you to possible flash yourself if you're not mindful. The other issue was with the helmet coming down on me from time to time when I had it up. Something you might be able to fix with some simple tightening. For a helmet that offers many important and amazing features at a low price, the Antra AH6-660 would definitely make a great purchase. Even though it's not as great as most name brand helmets, especially when it comes to clarity, it still meets all the important standards required of a top welding helmet. If you buy the Antra AH6-660 you know you'll be getting more than your money's worth.